The possible existence of optical flashes above thunderclouds has been circulating in scientific community for over a century. The scientific community largely ignored these reports because of the lack of hard evidence. The first documented flash event, which is now called sprite, was recorded in 1989. This discovery triggered a series of further observations leading to discoveries of blue jets and different geometric forms of sprites. Generally, sprites illuminate only the region between 35 and 95 km, while blue jets initiate from thundercloud tops (~15km) and propagate upward only to ~40 km. 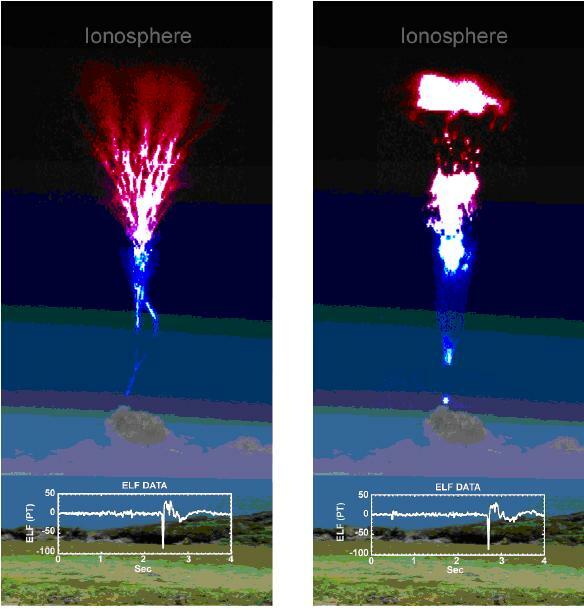 Sprites are frequently detected as red, weak luminous emissions lasting less than 30 milliseconds between the troposphere and the lower ionosphere. The magnitude of the electric fields created by such lightning discharges have even greater significance because lightning can cause huge transient electric fields (in the kilo volts per meter range) in the upper atmosphere. These fields can cause particle acceleration, heating and energy dissipation. Surprisingly the effects created by these fields were not directly observed until quite recently. For the first time, sprites will be globally surveyed by a Taiwan owned ROCSAT-2 satellite (Figure 1 and Figure 2) carrying a scientific instrument ISUAL (Imager of Sprites: Upper Atmospheric Lighting, Figure 3). The experiment, consisting of a bore sighted imager, a 6-channel spectrophotometer and a two-channel array photometer, will make global surveys of lightning induced luminous phenomena from orbit. The major goal of the ISUAL experiment is to obtain a global survey of upper atmospheric optical flash transients: red sprites, elves, blue jets, etc. The survey will determine the relative location and timing of luminous phenomena with respect to thunderstorms. Other scientific objectives are to analyze the spatial and temporal features of sprites and optical jets, to identify the spectral content in the activity of luminous phenomena, and to understand the degree of ionization in the lightning discharge region. 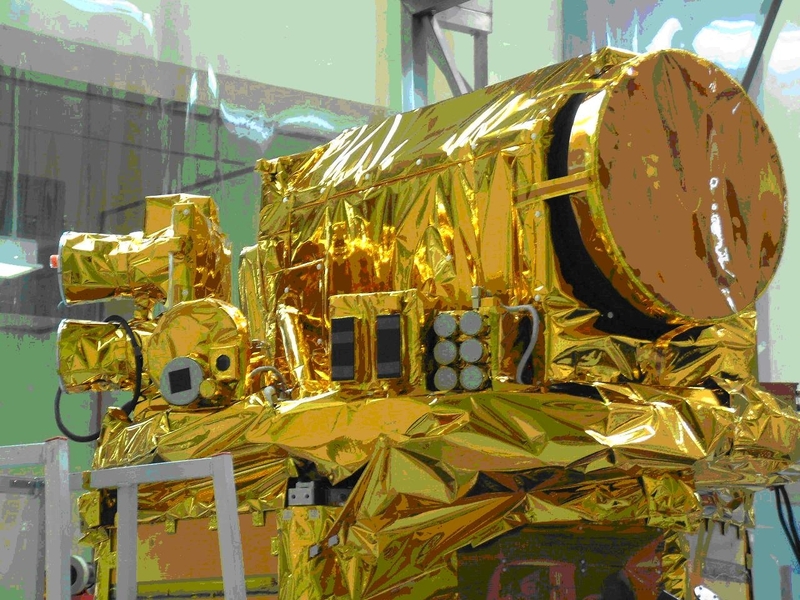 ROCSAT-2 is the second satellite developed by the National Space Program office (NSPO) of Taiwan. Its main mission is to acquire and monitor the terrestrial and marine environment and resource throughout Taiwan for civilian usage, and possibly over other regions of the world for international cooperation. Two instruments are on board the ROCSAT-2: an optical remote sensing instrument (RSI) and ISUAL. The ISUAL payload is managed by scientists from the Physics Department, National Cheng Kung University, Taiwan (leader-Prof. Rue-Ron Hsu), with international team members from Space Science Laboratory, UC-Berkeley, USA (leader-Prof. Stephen Mende) and Department of Geophysics, Tohoku University, Japan (leader-Prof. Hiroshi Fukunishi). To gain the first-hand experience for the future space observations, the NCKU team has been staging summer sprites campaigns in Taiwan since 2001. Since 2001, the NCKU team has successfully observed sprites over the Asian continent for the first time (Figure 4). They found that the sprites over the Asian landmass were similar to those observed in North American, Australia, and Europe. They also recorded sprites over oceanic thunderstorms. In 22 July 2002, at the southern tip of Taiwan, five gigantic jets were recorded. Today (June 26, 2003), Nature publishes a paper about ground observations, from the science team of Taiwan, on these five gigantic jets that extended from a thundercloud above the South China Sea near Luzon Island to the electrically conducting ionosphere at ~90 km (Figure 5). The upper body of the gigantic jets was very similar to sprites, but their lower body resembled blue jets. The gigantic jet optically spanned the thundercloud top at 15 km and the ionosphere at 90 km elevation. The extraordinary story about this observation is that no evidence was found to show that cloud-to-ground (CG) lightening triggered these events. However, extremely-low-frequency (ELF) radio waves associated with four gigantic jets were detected in Antarctica and in Japan (see also Figure 5). A negative cloud to ionosphere (-CI) discharge leads to the generation of observed ELF waves. This report provided first conclusive observation data to indicate that a direct optical path was established from thunderclouds (~15km) to the ionosphere (~90km). Figure 1. 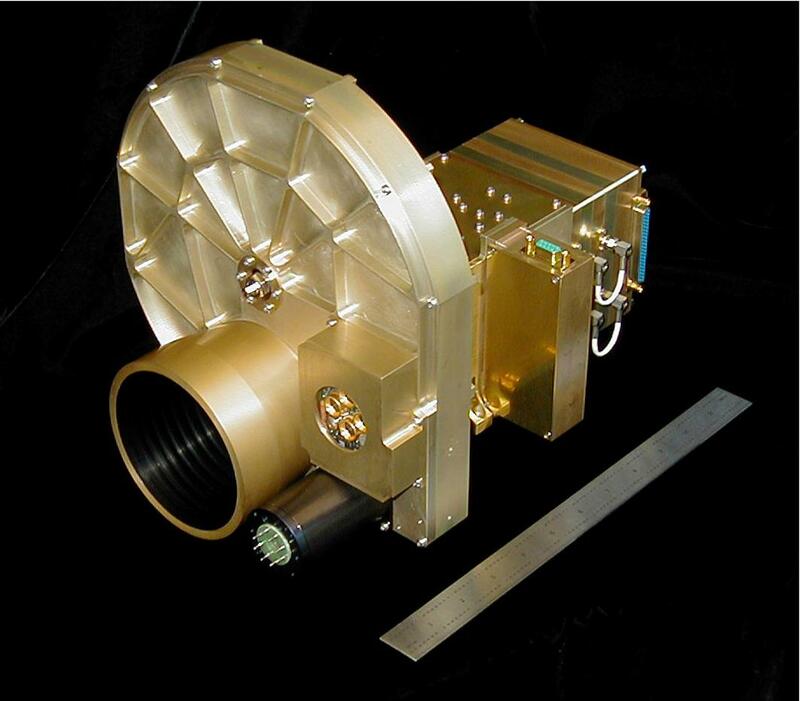 ROCSAT-2 spacecraft integrated with remote sensing instrument and the scientific ISUAL payload. Figure 2. 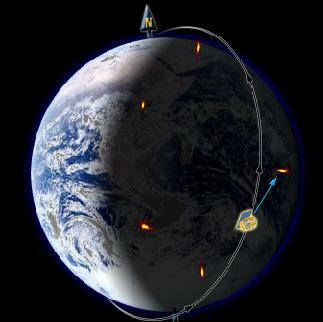 Illustration of ROCSAT-2 orbits around Earth taking sprite images in the Earth limb. Figure 4. 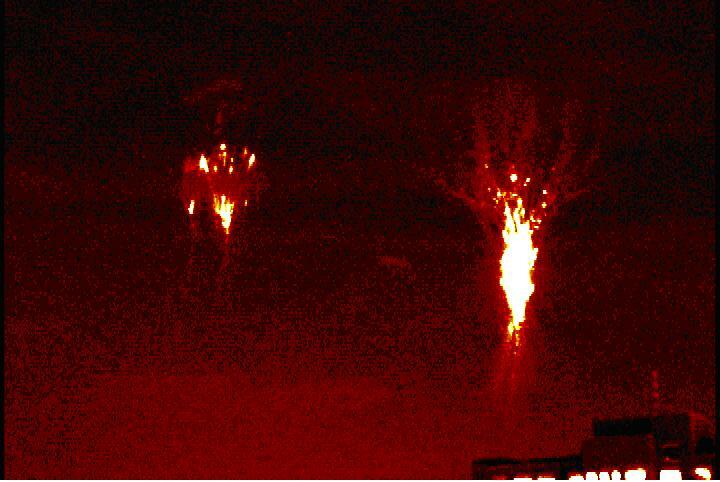 An image of red sprites taken from Tainan city in Taiwan at night. Figure 5. Gigantic jets extending from a cloud top at 15 km to the ionosphere at 90 km elevation and associated ELF wave.